The Parks and Rec star brings his solo show to Just for Laughs. 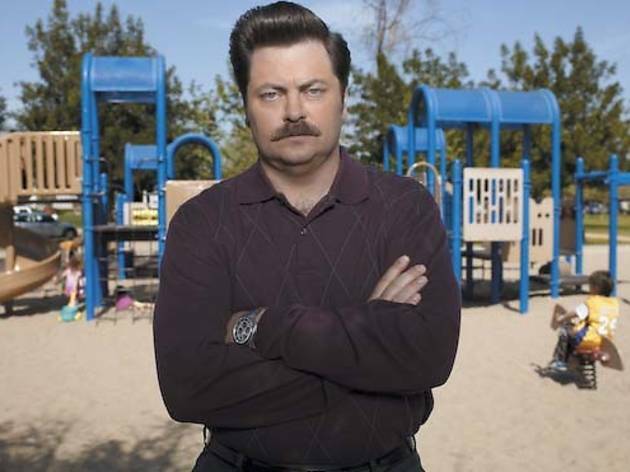 In addition to touring with American Ham, a show about “tips for a prosperous life,” and a fishing vacation with family in Minnesota, this is how Offerman will spend his summer. “I have enough pursuits that I’m passionate about that I have a hard time putting my feet up,” he says. 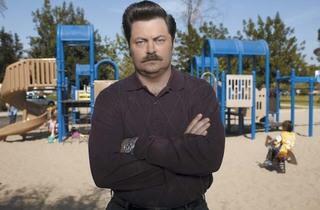 Offerman, 41, was born and raised in Minooka, a small town just outside Joliet. He studied theater at the University of Illinois and in the ’90s moved to Chicago, where he cofounded the acclaimed Defiant Theatre storefront company. Offerman says Defiant possessed a high-octane performance style that mixed stage combat, commedia dell’arte, carnival and Kabuki. “We were a goofy bunch of ragtag farm kids who had an agenda we wanted to get across,” he says. Nick Offerman performs American Ham Saturday 16.